Welcome to one of the famous yachting and sailing destination in the world, for beginners and experienced skippers alike. A Bermuda yacht charter is the perfect way to explore the islets, coral reefs, marine life, and historic shipwrecks. A favorite among race enthusiasts, the group of islands welcomes every year hundreds of participating yachts and thousands of spectators. We invite you to browse our top selection of Bermuda boat rentals and pick the yacht charter that suits best your plans for a fun day on the water or for a week-long vacation to remember. Our local team recommends a sailboat rental in Bermuda, perfect to explore the protected harbors or water areas like the Great Sound. Get ready for a great nautical adventure to discover the charming tiny islands, or go fishing or snorkeling the coral reefs! 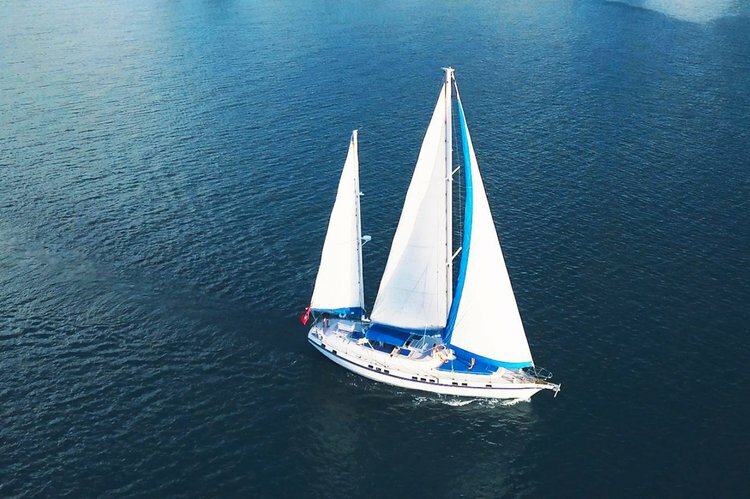 Whether you plan for family vacation or you’re visiting with a group of friends, don’t miss your chance to sail the Hamilton Harbor aboard one of Sailo’s Bermuda boat rentals. A sunset cruise on a sailboat rental in Bermuda can be either a romantic one or a thrilling (maybe even a bit spooky) adventure in the infamous Triangle! In spite being a relatively small island, this ideal summer getaway offers a lot of attractions to sailing buffers. We encourage you to start a conversation with the boat representative about your sailboat rental in Bermuda! Boat rentals can be daunting when you’re not familiar with the destination, so use our Message Owner feature to ask details about your yacht charter or ideas for itinerary, or to make special arrangements. We are also here to help you make the best decision, so please do not hesitate to reach out to us on live chat or by email at concierge@sailo.com!